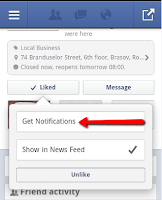 Marketing Frenzy: Are your fans getting notifications from your Facebook Page? 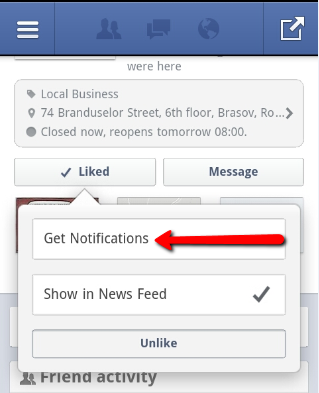 Are your fans getting notifications from your Facebook Page? There has been a lot of anger from online marketers regarding Facebook's EdgeRank change, especially because this happened coincidentally about the time Facebook launched its Promoted Posts. These modifications caused the reduction of reach for the updates posted by Business Pages (in any case for some businesses). Off course, Facebook "issued" a response for all the negative feedback it received, one of which being a magical place called "Pages Feed", where a user can find all the posts that come from the business pages they liked (which by the way is nowhere to be seen in the Facebook mobile app). I won't discuss the "efficiency" of this move from the perspective of businesses (have you even noticed the tab before I mentioned it? 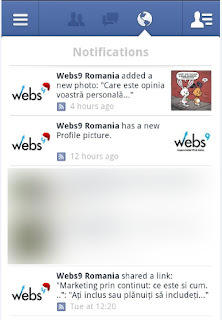 ), but I do want to discuss a feature that might help in reaching the attention of your Facebook fans. You actually might have heard this before from blog posts like this on AllFacebook.com, as after the big change many posts flourished advising you to do this and that in order to maintain or even increase the reach of your Facebook posts. So, what am I talking about? Well, if the title didn't tip you off (wink), I'm referring to the option of users getting notifications from your business page(s). What I found a little bit strange is that after the initial rush in November 2012, nobody really talked about it (please correct me if i'm wrong here). Honestly, this feature didn't really work uptil the last couple of days, at least not for me. I enabled it in November for one of the pages I like and only yesterday I received the first notification regarding the activity on the page. 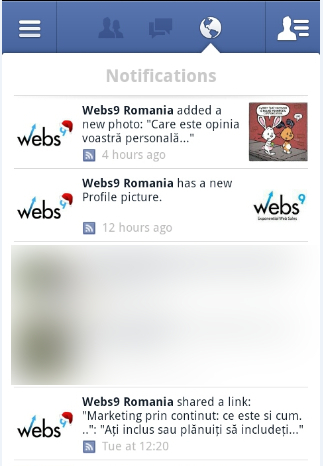 In any case, the question remains: Are your fans getting notifications from your Facebook Page? 1. Create an awesome page and share great content that your fan base can relate to and wants to interact with. I know that this is more easy to say than done, but with a lot of listening, experimenting and measuring, which will lead to really knowing your customers, you will eventually get there. Why is this important you ask? Well, apart from the obvious reasons, you have to keep in mind that users usually like tens of pages, and if they opt-in to get notifications from each of them their notification box (or whatever it's called) will eventually overflood and the whole purpose of the feature will be lost anyway. So, the most probable scenario is that they will enable this option for the pages they really like. In such a case, your page will be included on the list if it provides true value. Although you have to keep in mind that the probability of inundating their notification box still remains, but at least until this goes mainstream, you can reap the benefits from it. I'm curious: if you did enable this option in the past, did it work for you immediately? What are your thoughts on this?